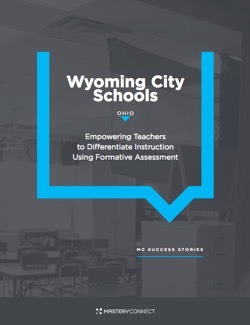 Educators are using MasteryConnect solutions for formative assessment, curriculum planning, interim-benchmark assessment and collaboration to drive student success in classrooms around the world. These are a few of their stories. After partnering with MasteryConnect in 2016, students and teachers at McPherson Elementary began to see a success they couldn’t visualize before. Test scores began to improve dramatically—taking their math scores alone from 3% proficiency to 29% in just two years. See how these dynamic educators are embracing the data in their classrooms by using it to drive instruction in real time and allowing students to see how far they have come. As Anthony Rivera approached the building of his new school, students were chucking textbooks from the second story to the sidewalk of Wallace Avenue below. As founding principal of Pelham Academy in the Bronx, he had no doubt that he was walking into a daunting challenge, but he was committed to providing the students there with the best education possible. 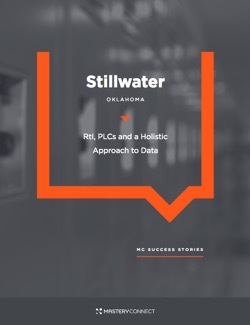 Watch how his team was able to transform the culture in the building and increase student proficiency by 159% in just three years with support from Teaching Matters and MasteryConnect. See how Majestic Elementary went from being the lowest performing school in the district to a B-rated school in just one year. Principal Todd Theobald and his team show how drastic improvements are possible when schools shift their focus to strengthening Tier 1 instruction for all students at a classroom level. Using MasteryConnect, the teachers at Majestic assess different levels of student understanding in real time, then quickly give each child the support they need. Administrators in Fairfield County have learned the key to collaboration is consistency. Using the curriculum mapping tool from MasteryConnect, these educators are building pacing guides, sharing resources and delivering common assessments districtwide—all from a single tool. From a solid foundation of consistent data, professional learning communities are collaborating on instructional strategies and having deeper conversations that have a real impact on student learning. It may look like play - but it's playing with intent. 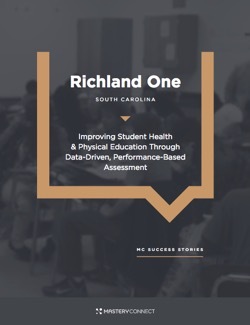 At Burton Pack Elementary in Richland County, South Carolina, educators are taking a new, more "active" approach to personalized learning. Using MasteryConnect, teachers can quickly identify standards that students are struggling with, then customize learning activities that get students' minds—and bodies—moving! 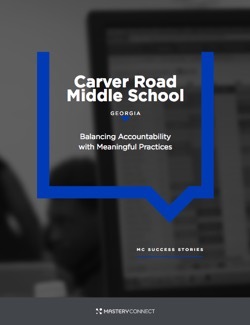 See how 2017 Georgia Middle School Principal of the Year Dr. Tiffany Taylor and the educators at Carver Road use MasteryConnect to power PLCs, collaborate around performance data, share common assessments and instructional ideas, and—most importantly—drive student growth. 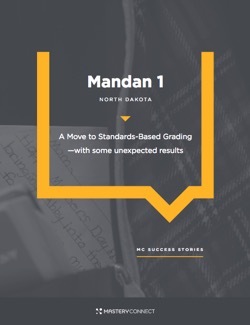 After their economy collapsed, visionary educators at this rural district started using the latest in educational technology to drive student growth, celebrating success one standard at a time. A new holistic approach to data changes the game for writing instruction, helping teachers build student confidence with instant feedback and a focus on growth. A school-wide systematic approach to data-driven instruction results in meaningful teacher collaboration, in-the-moment insight into student understanding, and more confident students. 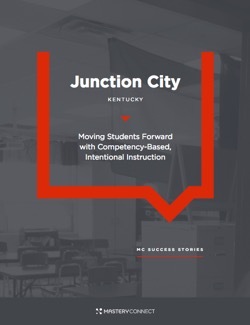 Once considered a “failing school”, educators John Marshall Mid-High are transforming the student experience through a standards-based approach, mastery learning, and a growth mindset. In the fruitvale neighborhood of Oakland, ARISE is helping historically underserved students become intellectual leaders through a rigorous college-prep curriculum and standard-based grading. Immediate, targeted feedback improves learning outcomes and enhances the student-teacher relationship at this private Florida school. Mr. Rich helps his students see themselves as learners with a focus on continual growth. Watch his story to hear how he defines his success as an educator—and as a human being. As a second-grader teacher, Ms. Robinson is constantly inspired by her students insatiable curiosity about everything. See how she energizes their love of learning.